Before he went into the beer business, Funky Buddha co-owner KC Sentz (second from the left) was an electrical engineer at Motorola, though his first taste of the working life was at a McDonald's when he was 14. My first professional job was as an electrical engineer at Motorola. During my 13 years there, I was on a design team that developed two-way pagers in my early days to smartphones toward the end. I saw the company go through some major highs and lows. For the last few years of my employment, it was hard to focus on my future with the threat of layoffs. It was at this time that I realized I was not cut out for life at a big corporation, and I would have to either work for a small enough company to make a difference or start my own business. I know it sounds obvious, but the best advice I was ever given was never to give up on my dream of owning a successful business. I had had my fair share (10-plus) of business plans before the Funky Buddha. Whether it was because of poor timing, bad partnerships, lack of funds or simply a bad idea, those plans didn’t pan out. Many times I was discouraged and felt the best for myself and family would be to drop the dream and continue to pick up the weekly paycheck. But I received this advice from a friend and boss at the time, David Johnston. Though I had heard it many times before, it was different coming from someone I admired so much professionally. He saw that entrepreneurial spirit in me and drove me to keep trying. I look for passion, personality and honesty. I want to make sure the candidate has a personality that matches our culture. The last thing I want to hear in an interview is perfect, canned answers to each question. So someone who may have the best answer to each question may not necessarily win me over in an interview. What's your favorite job interview question to ask? The interview questions really depend on what I am hiring for. There are a few basics: your strengths, weaknesses, why us, why you. But the interview with me is a laid-back and open conversation. I don’t feel you can gauge the best of someone’s personality from a structured environment. I often hear that it is hard to find good, passionate, quality employees. In our case it hasn’t been difficult at all. We have been very fortunate to find very talented and passionate individuals to join our Funky family. Maybe it’s easy because we produce beer. The number of microbreweries in South Florida could triple by the end of 2015. More brewers are well on their way to setting up shop locally, and from a business perspective, it’s about time: Craft beer has been popular in the U.S. since the mid ‘90s. Brewers know South Floridians have a taste for it and they’re excited to bring their flavorful suds to underserved local customers. But it’s not just brewers who recognize these specialty brews as good business. Half a dozen bills about beer have been filed in the Florida Legislature. The proposals would essentially do two things: allow certain stores to offer beer tastings - like many already do with wine – and legalize 64-ounce containers of beer. Florida’s weird packaging laws allow 32-ounce and gallon-sized containers, known as growlers. But 64-ounce growlers are illegal. The law dates back to the prohibition era. 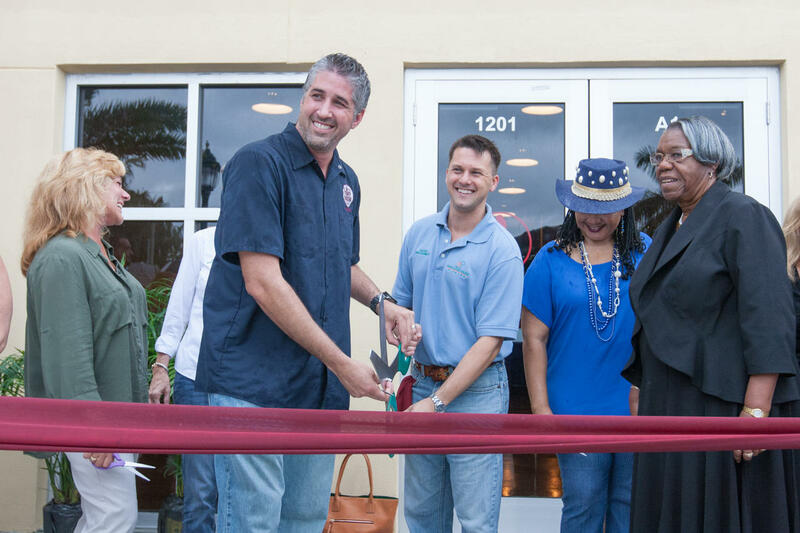 Up until 2012, there was only one microbrewery in South Florida. But after Tequesta Brewing Company's first colleague, Due South Brewing Company, opened that summer, more have bubbled up all over. And the newness of this industry partly contributes to the difficulties brewers face when trying to open their businesses -- local and state laws prohibit even beer tastings at storesmake even beer tastings difficult.